1984 – 1989 Scientist MR (pre)development at Philips Research Laboratories (Eindhoven) and Philips Medical Systems (Best). 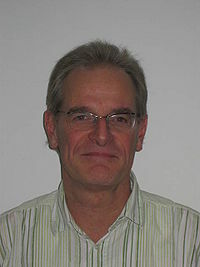 1989 – 1998 Assistant professor at the Faculty of Medical Sciences of the Nijmegen University. Staffmember of the Department of Radiology. Arend Heerschap studied biochemistry at the Free University Amsterdam and obtained a PhD degree in (biophysical) chemistry at the University of Nijmegen on a high resolution NMR study of transfer RNA. He was MR scientist at Philips Research Laboratories, Eindhoven and Medical Systems, Best. In 1989 he moved to the Faculty of Medical Sciences at the University of Nijmegen and became staff member of the Department of Radiology. In 1998 he was appointed as professor in Biomedical Magnetic Resonance at this department. His main research interests are the application of Magnetic Resonance in oncology and in energy metabolism. He is a promoter of transfer of knowledge from basic biomedical research to clinical application. For these purposes he has initiated projects ranging from investigations on body fluids, tissue extracts and animal models up to examinations of human volunteers and patients. In these projects the versatile potentials of MR to study physiology and metabolism in intact organisms in a non-invasive and longitudinal way are exploited. Funding for these studies and investments in MR instrumentation were obtained from several national and international organizations, such as the Dutch Cancer Society (NKB), Dutch Health Council (NWO), Dutch Diabetes Fund (DFN), Princess Beatrix Fund, NIH, NCI, EU and private funds.Since 1991 more than 33 peer reviewed grants have been awarded to A. Heerschap. Most of the projects are performed in collaboration with local university and (inter) national groups. The work of Dr Heerschap has resulted in a large number of publications in SCI referred journals (see below) and he has (co-)supervised 18 PhD students to a doctorate degree. He has served in local and national scientific committees and in several committees of the ISMRM. Currently he is chair-elect of the Cancer study group of the ISMRM. He is member of the executive board of the ESMRMB, member of the editorial board of MAGMA and a regular reviewer for several journals in the field of biomedical MR.